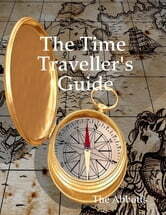 Have you ever wanted to travel through time to the distant past or to the known future? Well, this new and exciting ten part course by paranormal specialists, The Abbotts will show you how to do this remarkable psychic feat! 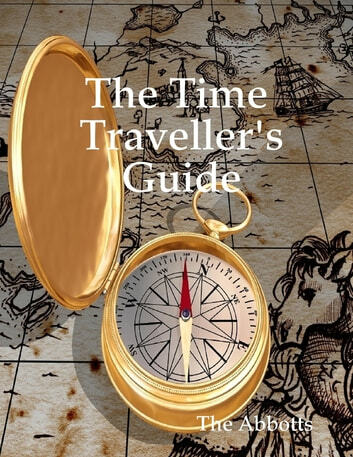 You can learn many simple methods of Time Travel that are safe and easy to perform. You can visit the ancient civilizations of Rome or Egypt; gain knowledge from Atlantis or Lemuria or even see your own past incarnations! You can visit the future and ensure that decisions that you make today will work out successfully! An exciting and unique paranormal skill that everyone can learn quickly! Easy reading and fully illustrated. How to Lucid Dream Tonight: The Lucid Dreaming Gateway to the Inner Self! Aura Cleansing Course - For Better Health! The Earth Trap: How to Escape Planet Earth! I Am a Middle-Earther: Subterranean Lives! Chakra Balancing Course - Better Health In Six Easy Lessons! A Year of Meditations: 52 Meditations to Change Your Life for the Better! I Am a Sirian - Starseeds On Earth! Your Alien Ancestry - How It Affects Your Life! Merkabah! - Your Amazing Spiritual Vehicle! New Gen Power! - Life and Psychic Abilities of Generations X, Y and Z! Past Life Lovers - Have You Met Before? Past Life Lovers: Have You Met Before? Merkabah! : Your Amazing Spiritual Vehicle! Alien Greys - The Greys, the Whites & Humanity! I am a Pleiadian! : Starseeds on Earth! Alien Messages: News from Distant Worlds! I am an Orion! : Friendly Alien Beings on Earth! Why am I single? From a Spiritual Perspective. Alien Contact Guide - How to Meet Aliens Safely! Psychic Defence: How to Defeat Negativity! I Am an Orion! - Friendly Alien Beings On Earth! Lucid Dreaming Course - Empower Your Life! I Am a Pleiadian - Starseeds On Earth! 2036 - Starseeds & the Apophis Asteroid! Alien Children - Their Traits & Purpose On Earth! Your Soul Group: Combined Love In Action! Stargates and Energy Centres on Earth: How to Locate and Use Them! Reluctant Volunteers: Starseeds on Earth! A Tree Change: From a Spiritual Perspective! I Am a Cosmic Woman! - The Women of Bellatrix, Taxos, Pentax & More! The Psychic Child: Encouraging Your Child's Natural Abilities! Cosmic Scientists - Are We Part of the Experiment? I Am an Arcturan! - Divine Beings On Earth! The Psychic Detective Course: Paranormal Solutions! Alien Children: Their Traits & Purpose on Earth! Pleiadian Tales - Life and Love! How to Be Lucky! - Using Psychic Power’s for a Better Life! High Finance: A Spiritual Approach to Money! Starseed World: Synergy in Action!